I wasn’t very far into Gene Stratton-Porter’s 1909 novel A Girl of the Limberlost when I started to have a sinking feeling that this might be the first book in my and Jenny’s book swap that wasn’t going to be a resounding success. There were elements of the story that didn’t seem to have aged well and there were elements that I seemed to have aged beyond, as an adult encountering the story for the first time. But I was intrigued by the complex and emotionally fraught relationship between the novel’s young heroine, Elnora Comstock, and her emotionally distant and neglectful mother. Eventually, the problems I had with the book fell away, and I came to enjoy it quite a lot. Elnora lives on the edge of the Limberlost Swamp, and her greatest desire is to attend high school. Her mother allows her to go but does nothing to help her; she even fails to tell her that she will need money for books and tuition. When Elnora turns up on the first day in her old-fashioned country clothes and without needed supplies, she is ashamed and nearly decides never to return. Fortunately, her kind-hearted neighbors, Wesley and Margaret Sinton decide to make sure she gets what she needs, if not from her mother then from them. Elnora is too proud to take what she considers charity, but she learns that by collecting and selling moths and other treasures of the swamp she can earn enough money to pay the Sintons back, and she accepts a few items, including a wonderful lunch tote, as early Christmas gifts. Elnora’s independence was the source of one of my difficulties with these early chapters. At times, I felt that the book was sending the message that everyone can and must earn his or her own way in life. Although I can see the value in encouraging children to be industrious and to work hard, Elnora’s refusals of help often seemed like a sign of prideful stubbornness, rather than admirable self-reliance. And when she said things like, “People have no right to wear things they can’t afford, have they?” it was hard for me to accept her as the ideal of young womanhood the narrative seems to suggest that she is. But as the book goes on, Elnora softens somewhat, and the novel feels less like an object lesson in the beauty of self-reliance and more like a study in being true to yourself in the midst of community. The other complicating factor in these early chapters is the treatment of Elnora’s mother’s refusal to allow her land to be drilled for oil. The Sintons see this as an example of her living in the past, in the days before her husband died in the swamp. Not to drill is tantamount to refusing to provide for her daughter. As unsettling as this was to read, I could see past it because the novel was written in 1909. I don’t know much about the oil industry in those days, but I think there’s a big difference between a private landowner putting in a few wells and an oil company covering the whole countryside with them. Also, later developments, while not exactly vindicating Mrs. Comstock, show that her choice may not have been as foolhardy as her neighbors thought. One of the things that ultimately made this novel so enjoyable is that it recognizes how complex and multifaceted human relationships are. The first and best example of this is in the relationship between Elnora and her mother. Mrs. Comstock resents Elnora and has since her birth. Often, when Mrs. Comstock makes a move toward showing affection, she takes it back or twists it into something ugly. But as monstrous as Mrs. Comstock’s actions are, she doesn’t seem like a monster. She’s a woman in pain, and the question is, what will snap her out of it? That’s the question that lurks behind many of the relationships in the book. Sometimes the question is answered quickly, as when Margaret Sinton reacts furiously to Wesley’s bringing home a newly orphaned little boy named Billy who seems made of pure wickedness. And later in the book, a similar question is behind Elnora’s relationship with a fellow moth enthusiast, Phillip Ammon. Elnora and Phillip develop an instant rapport, but he’s engaged to the socialite Edith Carr. Here, we don’t know precisely who needs to snap out of what, but we know that not everyone will get what they want. So whose heart will be broken? The more of this book I read, the more pleasure I took from it. It’s a hopeful book in which even the hardest hearts are softened, but it earns its hopefulness by putting the characters through some serious, seemingly insurmountable difficulties. As I reader, I’m glad I persevered through my own early struggle with the book so that my own heart could be softened toward it. 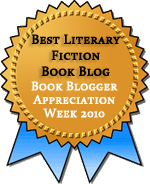 This entry was posted in Children's / YA Lit, Classics, Fiction. Bookmark the permalink. Thanks for the link. I don’t particularly disagree with any of your complaints about Elnora–she does seem too good to be true a lot of the time, especially early in the book. But the relationships won me over. I first read this when I was younger, after my grandmother told me it was one of her favorite books growing up. At the time it seemed to fit in with Anne of Green Gables and Louisa May Alcott’s books – though I can understand your first reactions. I still love this book, and your review reminds me why – but I have really disliked the other books of hers that I have tried. I think this book would be easier to like if you first encounter it when you’re younger. Once I warmed up to it, I liked it a lot, but it took a while, and I’m not overly enthusiastic about reading more Gene Stratton-Porter. I thought I had read this in my childhood, but so much of what you tell is unfamiliar that I think I must have not finished it. I get the impression from the comments that not finishing is pretty common with this book. I’m glad I persevered. As I said to Lisa, I think it’s different to encounter this story for the first time when you’re an adult. The flaws in the characterization come through more than they would for a younger reader, and it’s made worse when you don’t know where the story is going and what kind of adult Elnora will be. I was never especially tempted to give up on it, though, which these days is saying a lot. I didn’t mention the setting, but I see just what you mean about that. 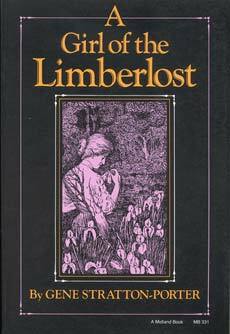 The Limberlost is almost a character of its own. I couldn’t finish this book. Like Chris above, I found Elnora really irritating. I have a real problem with the whole “beautiful girl under dirty rags” heroine, as though being beautiful and being good are always related to each other. I realize this is reading too deeply into a children’s novel, but I can’t help but bring that baggage along with me when I read the book as an adult. And the way Elnora went around telling everyone that she had quite a lot of money and land at her disposal if only her mother would let her sell it… well, that seemed a bit manipulative to me. Though clearly, they had a complicated relationship! I’m going to argue with this one (though I will let Teresa agree with it if she wants!). First, I don’t think it’s intended to be a children’s novel, so read as deeply into it as you want to! (The second half of it, when Elnora is an adult, has a lot of quite grown-up themes.) Second, Elnora’s most important attribute is never her beauty. It’s her strength, her intelligence, her resourcefulness, and her understanding of her natural surroundings — and maybe, now that I think about it, her education, which she got for herself. Third, I can’t think of anyone she told about her financial situation, except when she shared about her relationship with her mother with the Bird Woman. I have to stand up for Elnora! :) I grant you she’s not perfect. But I do think she grows. As for beauty not being Elnora’s most important attribute, I understand that. But it was mentioned multiple times (from what I recall, anyway, though perhaps I have exaggerated with distance from the book) that she is both really lovely and really kind. It isn’t that I dislike kind and beautiful people, it’s that I dislike the two traits always being linked in literature of this period. I completely understood that she was intelligent and resourceful, too, but I feel like most people when talking about her talked about her looks. And third – yes, it seemed odd to me that she talked about her financial situation on first meeting the Bird Woman, saying something about how she has a lot of money available to her but her mom doesn’t let her cut down the trees. Again, it’s been a few months since I tried to read this one, so my memory could be hazy. But I just didn’t love Elnora as much as you did, Jenny- sorry! :-) Maybe if I had made it through to the end, I would have liked her more. I agree with you both! I didn’t find Elnora’s beauty to be too important in the early chapters, but I did find her seeming perfection to be hard to believe. In her review, Chris mentions that she can play the violin perfectly from the start, which is just not going to happen. It was stuff like that that frustrated me. But the last half of the book, while not drawing out her flaws, does make her seem more real. And there is a very beautiful woman who turns up later in the book who is not at all kind, so the two traits aren’t inextricably linked. At that point, Elnora’s beauty, when it’s mentioned, seems to be less about conventional beauty and more about being comfortable in her surroundings and with her self. Mumsy is always trying to get me to read this. It’s one of those books that was always around the house when I was a little kid, but I never read it as a kid and then I got into the habit of seeing it and not reading it. Now I always see it and think “Eh. Not that one,” and read an M. M. Kaye book instead. Funny how that happens. I think there’s a pretty good chance you’d enjoy this, though. I think you would like it for two reasons (well, three). One, it is a little bit OTT in a way that I thin you would get a kick out of. Two, I think you would unironically like the way Elnora handles her romance with Philip; it is surprisingly self-aware, for all the slightly hysterical way it is couched. And three, well, it’s just a good story: eventful, yet tidy. I agree about the romance with Philip. It’s one of the reasons the book won me over in the end. I remember in Gilead, how John Ames’ wife gets this book and just sinks into it so happily. One of my friends read it recently and raved. So I dot it and Freckles for my Kindle. I completely forgot that this book was mentioned in Gilead! Hope you enjoy it.